I am glad I ordered these. They make a great breakfast treat. not overly covered in cinnamon and sugar. They are pretty good. Can't tell they are gluten free donuts at all. These are the BEST GF donuts you will ever taste. I can't even believe they are gluten free. The store I used to buy them from went out of business so now I am online trying to get more. SO good. Love me some donuts but these are seriously addicting. They had ran out of cinnamon donuts in the front but were nice enough to get a container of fresh donuts from the back. So I was lucky enough to have them hot and ready to eat. They just melted right in my mouth. Yum! Love these!!! 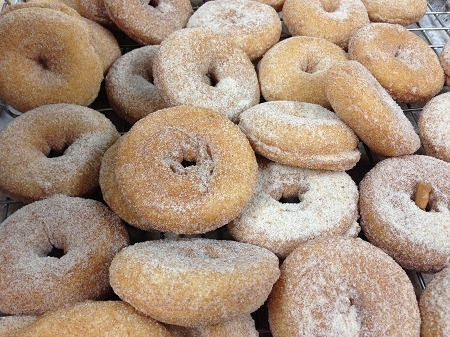 I like them better than standard cinnamon sugar donuts, as they are softer than typical cider house donuts I've tried before I was gf. I bought these with the sprinkle donuts on donut day, but these were my favorite! When CSGFB FB page posted about the prepackaged 2 packs at Yates, I was so excited! I could get gf donuts at a cider mill, that I knew I could trust and had good taste! 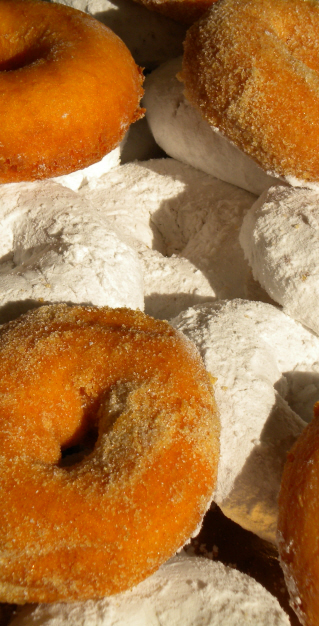 These can compete and beat the donuts you'd normally get at the cider mill. They are not just 'not bad for gluten-free', they are amazing. Very tasty. So I went to Yates Cider Mill and thought they had the most mindblowing GF donuts. I even bought a few extra to take home. Found Celiac Specialties on Yelp and decided to check it out. Saw they had donuts and told them that they had some fierce competition because Yates does the best ones.... guess the joke was on me.... Celiac Specialties is who supplies the donuts to Yates! Haha. Needless to say, I bought one of every flavor. These are wonderful donuts and they remind me of going to the cider mill when I was younger (not knowing I had issues with gluten and dairy). I love the fact that I can grab some cider and a donut (I like to warm up the donut), it takes me back to the old days of going to cider mill.